Built-in dust control is an essential feature if you're polishing a lot of floor area and don't have time to sweep up the dust after you. 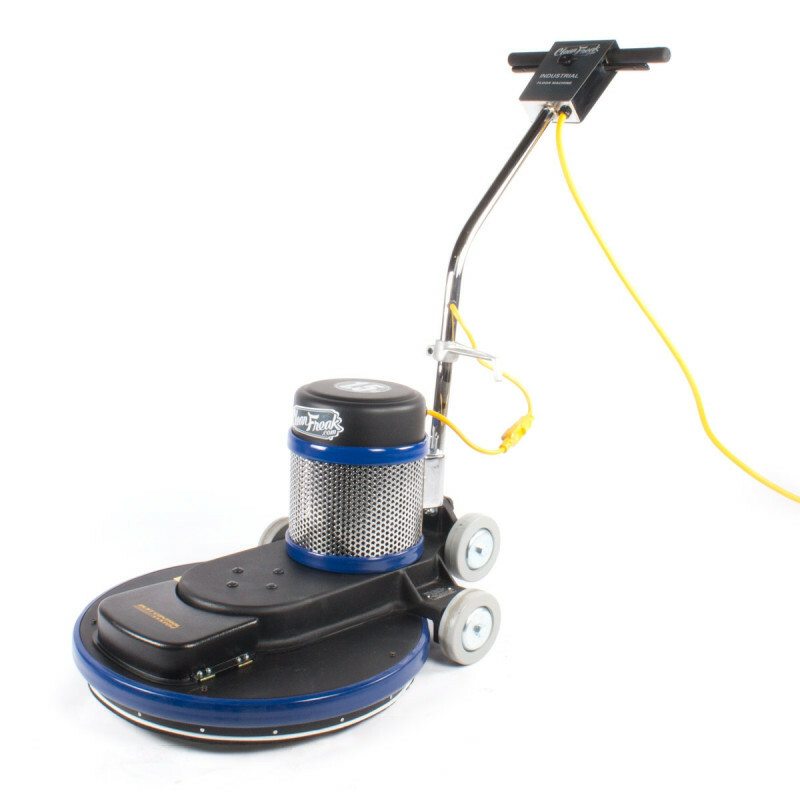 This CleanFreak® electric floor burnisher buffer does just that. An integrated dust control skirt picks up light dust from your burnishing job through a centrifugal collection system. 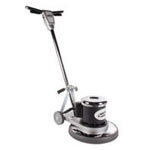 The high impact ABS body makes this CleanFreak® burnisher a slightly lighter machine than other burnishers, making it easier to transport yet still tough enough to bring out a great shine in your floors. The passive dust control system in this high performance burnisher is designed to pick up light dust, fractured floor finish and pad fibers. A floor hugging nylon bristle skirt stops any air or debris from escaping around the head assembly and aids in pick up performance. Easy access to dust filter bag. Easy pad pressure adjustment for different pad/finish combinations. Adjustable handle height with safety lockout. Float or lock the handle. A unique system lifts pad off the floor when the machine stops. Flexible pad driver is extremely effective on uneven floors.